Do you want to secure your online privacy? If yes then you have come to the right place. Despite the trademark as Linux is the most safest and secure OS, the online surfing and life are not as safe as you think. There are lots of unwanted intrusions ready to make your digital life imbalanced. Here you have to learn how to combat various kind of intrusions and malicious threats. Securing online privacy is one concern topic in today’s technology world. So being a Linux user or any other OS hobbyist, you have to secure your online identity, privacy, and footprints. In this case, VPN services with a Linux VPN Client comes into the picture for ensuring your anonymity and online security. To connect a VPN server, there is some popular Linux VPN client software available in the community like OpenVPN, AnyConnect, Network Manage, and OpenConnect. But it would be better if the VPN services provide a native Linux VPN client that makes a plug-and-play mode with minimum manual configuration. 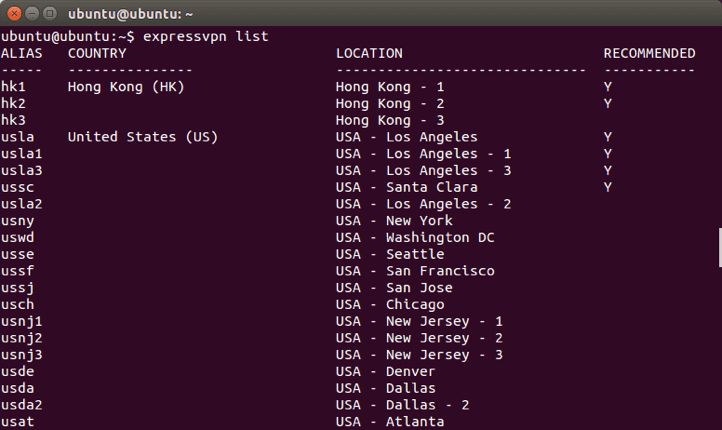 In this roundup article, I will share a generic list of best Linux VPN client and also include some best VPN services as well. This will definitely help the privacy-minded users to add an extra layer of protection and security to keep the internet connection private. Moreover, you can also have the facility of unblocking content or bypass censorship. ProtonVPN is created by a group of scientists, engineers, and cryptographers for securing internet for everyone, anywhere you access the internet. This VPN service is focused on privacy, security, and freedom. It creates an encrypted VPN tunnel where your personal passwords and banking data remains safe even when you use the public or untrusted data connection. It keeps your browsing data private and does not share with any third party. It also lets you have access to geo-locked content or any website. Tor anonymity network is smoothly integrated with ProtonVPN so that you can get all the traffic through it. ExpressVPN is one of the best VPN for Linux and it supports a wide range of Linux distros including Ubuntu, Debian, CentOS, Fedora etc. This VPN service provides impressive Linux support and speedy performance. Thought ExpressVPN does not offer any desktop GUI but you have all with command line interface that might be seem difficult for the newbie Linux users. 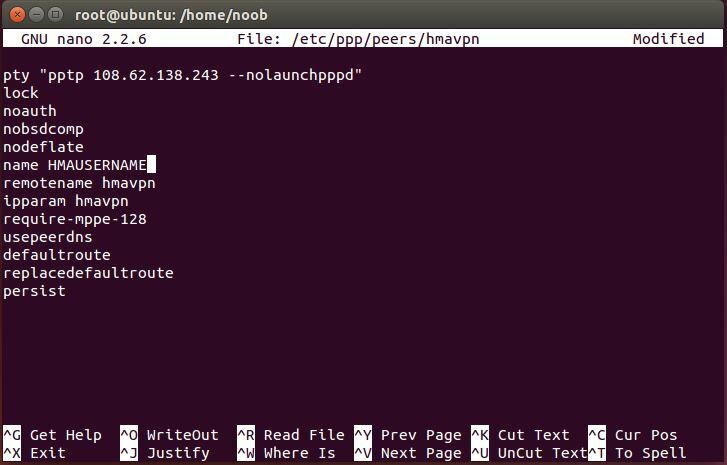 You can use the OpenVPN to configure this Linux VPN service and it doesn’t record any online activity or logging of traffic information. Private Internet Access (PIA) is a well known VPN service with a 256-bit AES encrypted connection to provide you an anonymous IP to protect your online footprints and privacy. Besides all other protocols, OpenVPN is the default and most secure one. This Linux VPN service provides a kill switch, IPV6, and DNS leak protection. It does not keep any traffic or users activity logs on the VPN server. 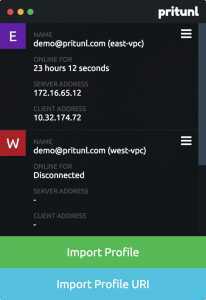 Pritunl is a free, minimalist, and open source cross-platform OpenVPN client. This Linux VPN Client let you connect with OpenVPN servers at the fastest way. Moreover, you can also import OpenVPN profiles and do a little bit configuration with the existing connection. Pritunl client is simple, easy to use and offers modern colorful UI. You can import OpenVPN profiles as many as you want. You can find an easy documentation on how to install Pritunl OpenVPN client on various Linux distros on official site. 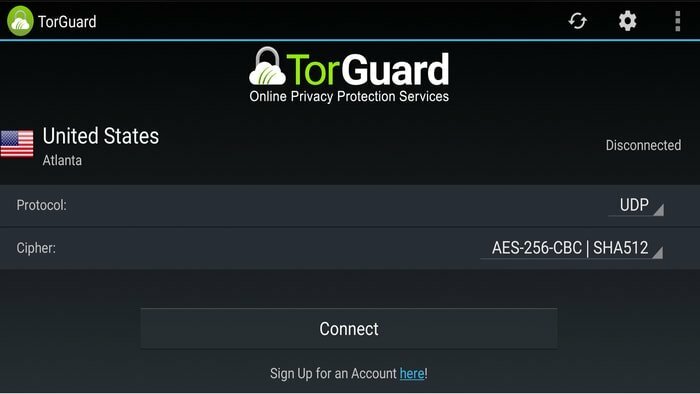 TorGuard Linux VPN service is best known for the perfect balance of price and performance. This best VPN for Linux provides military-grade encrypted internet connection for your digital footprint and stay as long as you want with speed and performance using anonymous IP. 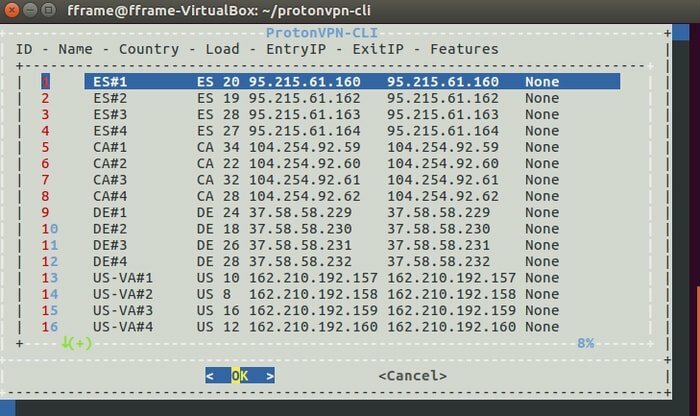 This VPN service provides a native Linux VPN client with a nifty how-to guide for easy configuration. TorGuard is relentlessly concern and committed to online security and privacy protection. The service includes multiple protocol support, AnyConnect, and OpenConnect SSL support, Perfect Forward Secrecy (TLS), unwanted ads, malware, and intrusion blocking. This Linux VPN server does not store any logging or traffic logs in the VPN server along with protection from deep packet inspection. AirVPN is a reliable, highly customizable and privacy-focused best VPN for Linux. It has a native Linux VPN client for all the major distributions. You can either use a command line or GUI for easy configuration. This is an OpenVPN based Linux VPN server that ensures a solid and encrypted defense tunnel for privacy and net neutrality. This military grade encryption tunnel prevents any sort of unwanted intrusions like spying of ISP or government or even any criminal organization. 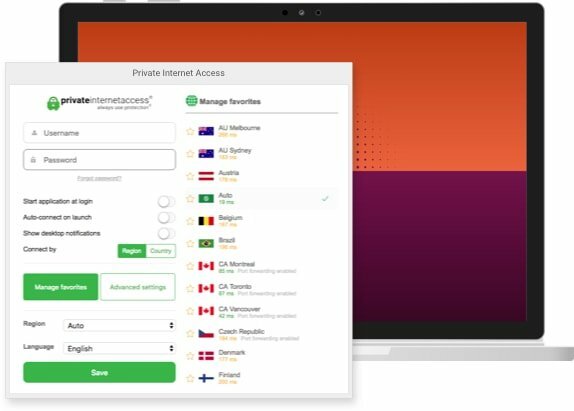 This best VPN service is transparent enough on online security and privacy fronts. This offers a set of tools like kill switch, internal DNS solution along with supports for OpenVPN over SSH, SSL or Tor. HMA is a good choice for the novices users with an easy to use and configurable native Linux VPN client or even OpenVPN. This VPN service provides a well written how-to guide for Linux. It’s a cross-platform and multi-device supported VPN service. You can enjoy unlimited uploads and downloads, fast and ultra-reliable access to a network, Secured public Wi‑Fi, and Watch anything anywhere. 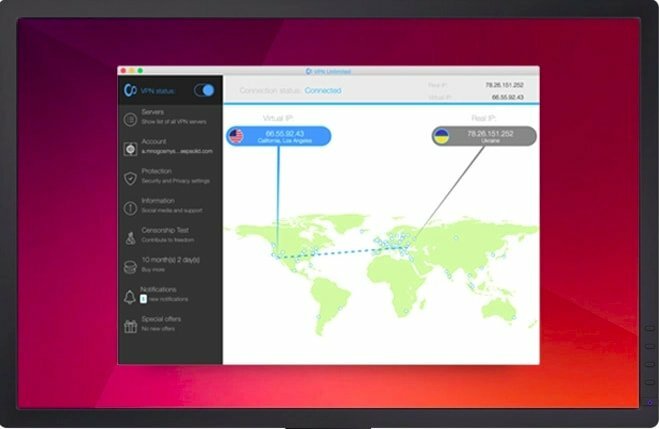 Mullvad provides an open source VPN client for Ubuntu/Debian that’s based on a graphical user interface. 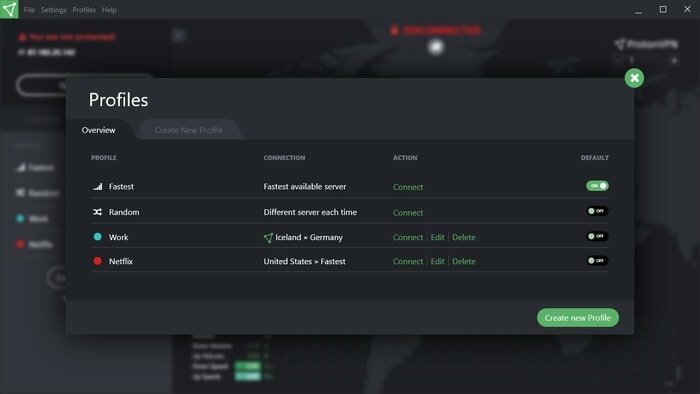 Mullvad is one of the best VPN services with lots of features like IPv6 routing, a kill switch, perfect port forwarding, IPv6 and DNS leak protection etc. All those tools are just made for your online identity, location, and activity private. This VPN service creates a strong AES-256 encrypted connection for you so that you can browse the web securely and keep your privacy protection intact. Mullvad’s Linux VPN server does not store any activity logs and keep you as anonymous as you want in digital life. VPN Unlimited is quite well known across all the major OS platform including Linux, Windows, Android, MacOS, iOS etc. It supports OpenVPN protocol, stops tracking, ad blocking, and anti-malware. This Linux VPN service does not share any data either personal password or bank data with any third party. VPN Unlimited encrypts the data connection and ensures total security with uncompromised speed. If you want to protect yourself from online unwanted intrusion or spyware, then Buffered VPN is for you. It has been rated and voted as one of the best and fastest VPN services in the Linux community. It’s easy to set up on Linux but only supports OpenVPN protocol right now. 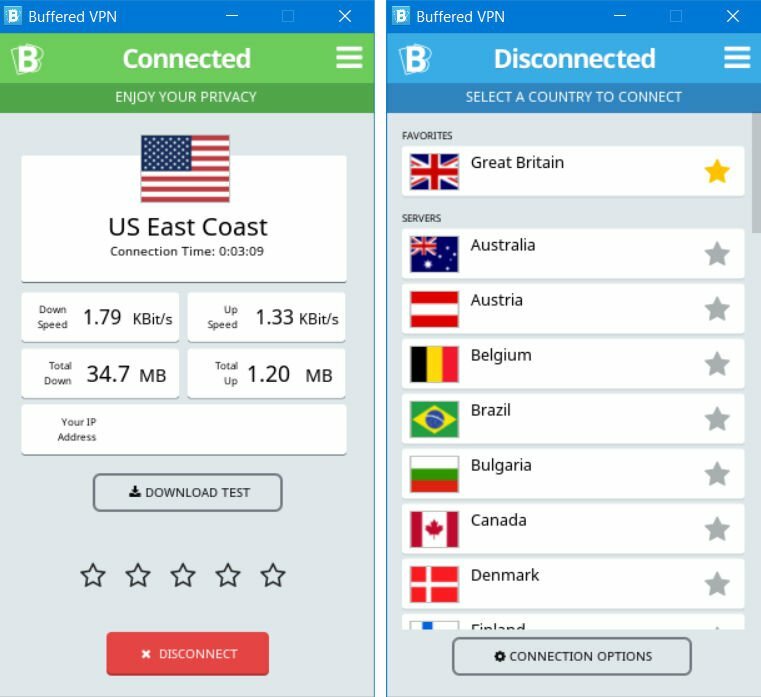 Buffered VPN is compatible across the devices and ensures high-speed connection with no restriction. It has very simple and modern Linux VPN client. Check out the official tutorial on installing in Ubuntu. So while selecting best VPN for Linux, you must look forward some criteria like a Linux VPN client is available with little or no manual configuration, ensures speedy and fast performance, does not keep any traffic or activity logs, can download or watch unlimited streaming services, unblock geo-locked websites and apps etc.